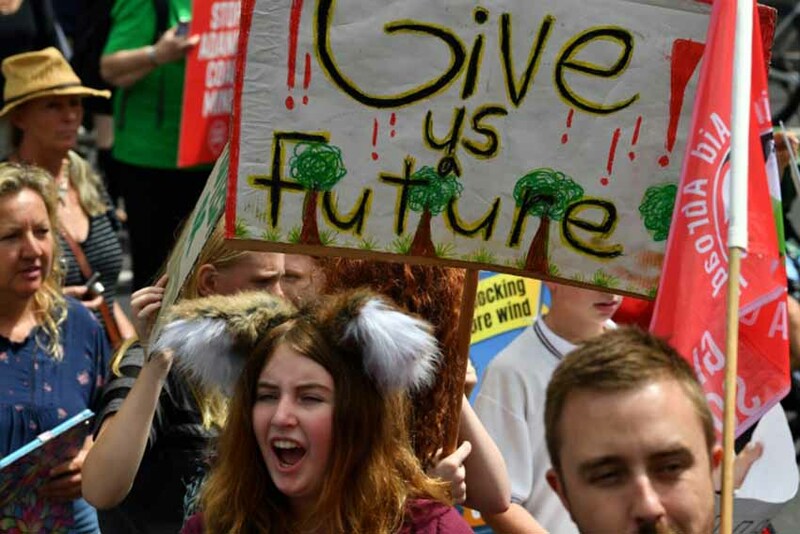 Thousands of young people started mobilizing on Friday morning in several countries of Oceania and Asia to sensitize politicians to climate change, responding to the call of the Swedish Greta Thunberg and environmental associations. 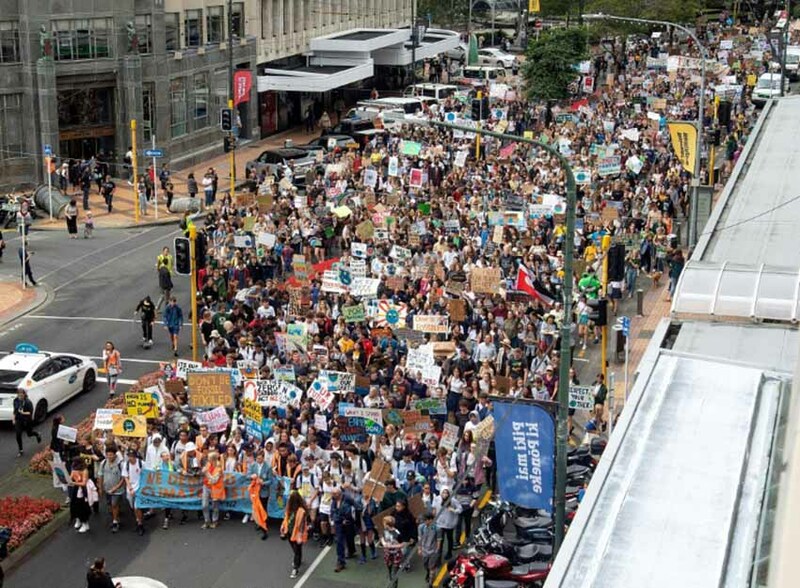 "Time is melting", and "Act Now or Swim" could be read on some signs in the first parade in Wellington, the New Zealand capital, where hundreds of high school students and students initiated the movement. However, it was quickly tarnished by deadly shootings in two mosques in Christchurch (south of the Pacific archipelago). The local police asked the parents of students not to pick them up in the city center during the grid of the neighborhood in the wake of these attacks. 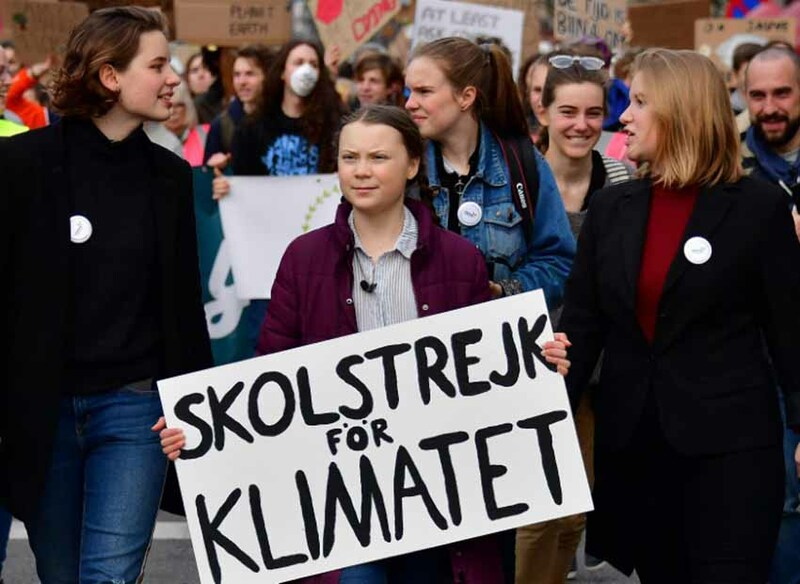 This day of awareness was planned "in 1,769 places and 112 countries," tweeted Greta Thunberg Thursday night. The list posted on the website of his movement, FridaysforFuture, then exceeded 2,000 places, with Italy, France and Germany leading the pack. 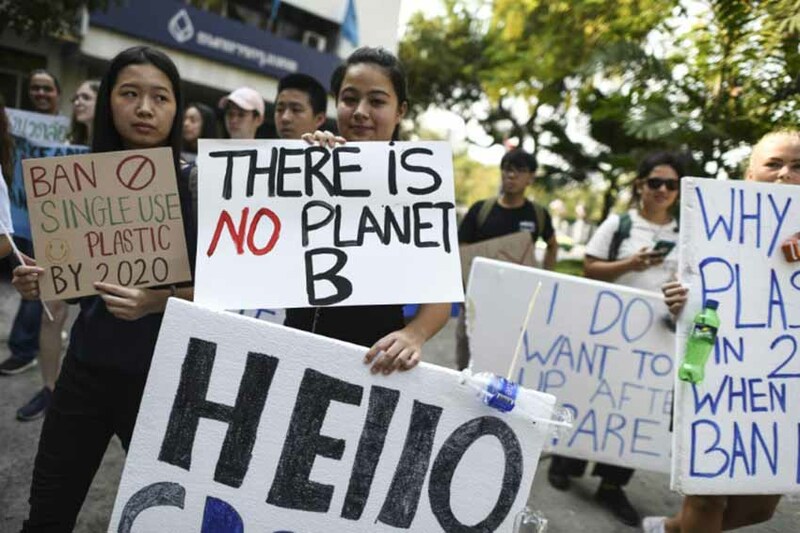 Thousands of young people clutched Friday in Sydney, Bangkok and Hong Kong, with the slogan "There is no planet B", "You are destroying our future" or "If you don" do not act like adults, we will do it. " In Sydney, 18-year-old Edward Gay vowed "100% renewable energy," saying "it's the only way to save lives in this country and around the world." Charles Rickwood, of the same age, also pointed out to AFP the danger run by the Great Barrier Reef: "If current environmental trends continue, we will have a rise of one, two degrees in the ocean, it will simply become unsustainable and we could lose the Great Barrier Reef. " Greta Thunberg, who has made a name for herself by waving a "climate school strike" sign in front of the Stockholm Parliament every summer since the summer, has relayed footage of protests in Australia and Japan on Twitter. or, more modest, in the Philippines and Vanuatu. The mobilization of the 16-year-old Swede, who was nominated for the Nobel Peace Prize in 2019, had until then been followed in only a few countries, notably in Belgium or Germany, where thousands of young people sometimes demonstrate, on a weekly basis, . "We are going on strike to tell our governments to do their homework and show us some evidence!" Says the call posted on Facebook. Namely evidence that the world is taking the necessary measures to limit warming to a maximum of + 2 ° C compared to the pre-industrial era, as provided for by the Paris Agreement. The youth initiative has not been to the taste of some teachers and politicians. "Leaving school for hours to protest is not something we should encourage for students," said Australian Education Minister Dan Tehan, for example, on a public radio. "Especially when they are encouraged by green political activists". Conversely, the young New Zealand protesters had received support from their prime minister, Jacinda Ardern. "Do not underestimate the power of your voice," the 38-year-old Labor told students this week in Parliament. "Too often, we say that you have to be old enough to vote in order to have an influence, which is not the case," she said. "Take as many people with you as you can because we can not achieve our goals alone," she said in a statement. Several mayors of the C40 alliance of major cities for the climate, such as Paris and Milan, have supported young people. This mobilization of young people is also part of a broader citizen movement for the climate, with actions of civil disobedience or lawsuits like the complaint for "inaction climate" which was filed Thursday in Paris against the French State by four NGOs supported by more than 2 million petitioners.